Princess Diana has been a style icon of mine since she married Prince Charles in 1981 and remained so until her very sad and premature death. She started off as a young natural beauty, typically English in every way. I think my attraction to her began because she actually looked very much like my mother – in coloring, in bone structure and in hairstyle. There was also the fact that she was a princess, and what 7 year old girl can resist a princess? Shortly after she got married, her style evolved and became more eccentric. She heavily embraced the 80’s and even developed distinct themes in her wardrobe – two tone, polka dots, military, tomboy, sailor, bows, and so on. Most of her looks were distinct risks. Some succeeded and others, well, not so much. But that is what I loved most about her. She really went for it with her clothes. Her classic good looks and unquestionable grace afforded her to sometimes step over the line of tasteful dressing into the more exciting zone of high camp. While I think Kate Middleton does a perfect job of dressing appropriately and in such a way that the general public relates to her, I do hope that as she gains confidence in her position she will have as much fun with her fashion as Diana did. 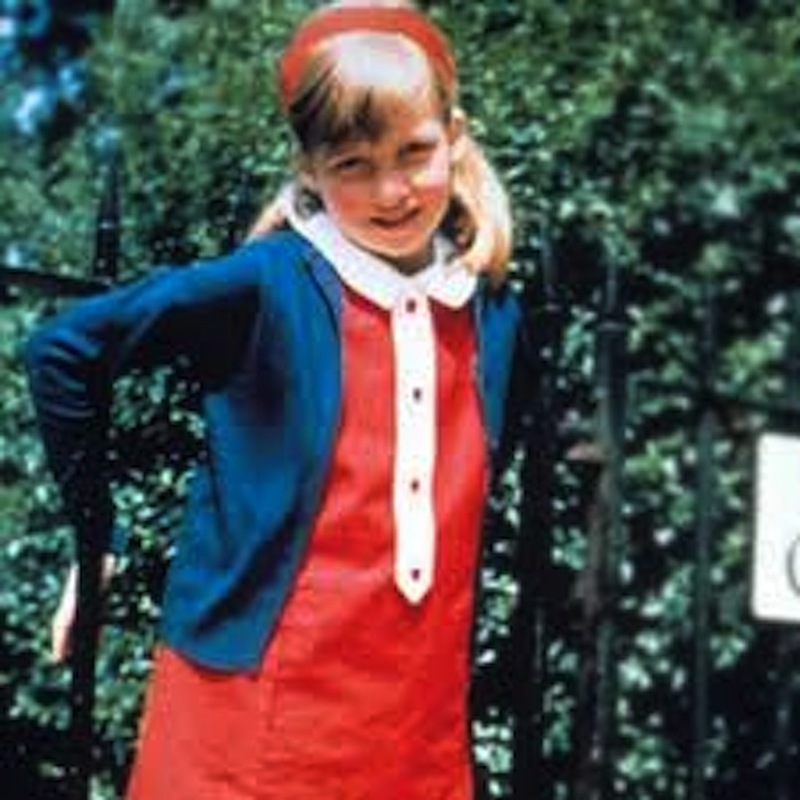 So on this first day we start with young Diana Spencer, an adorable English rose with a love of classic sportswear. Her look is so clean it almost seems American to me – kind of like what you’d wear in the summertime in Maine – a wool sweater, the colors navy and red, a t-shirt, white pants and jeans. I also love her long hair. I wished we’d seen her grow it long later in her life. Lovely photos of a lovely person! Love these pictures! To me she looked her loveliest towards the end, when Mario Testino shot her for Vanity Fair. Teen Diana reminds me of you in photos – that pretty coloring and slight shy pose for the camera. She always seemed much more herself before and after her marriage. The Demarchelier (I think..) photos for Bazaar were so nice where she looked unstyled and just in simple clothes.